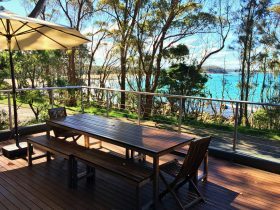 Mollymook Beach Waterfront provides luxurious accommodation with breathtaking ocean views for couples at affordable tariffs. 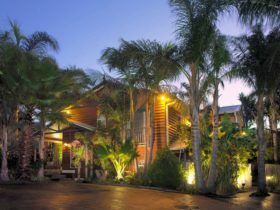 Waterfront is located in a peaceful setting with absolute ocean reserve frontage. 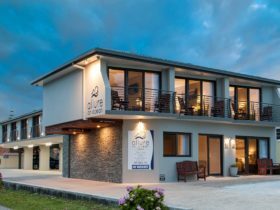 Relax in your luxury accommodation, on your private deck or inside your apartment and watch whales migrating in season and dolphins surf the waves during your holiday. 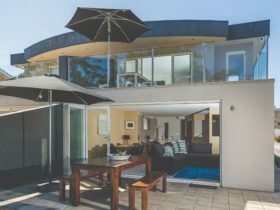 Alternatively if the surf is up you can go surfing on the famous Mollymook Golf Course surfing reef (in front of apartment) or watch surf board riders riding the Mollymook reef break as you relax during your holiday. 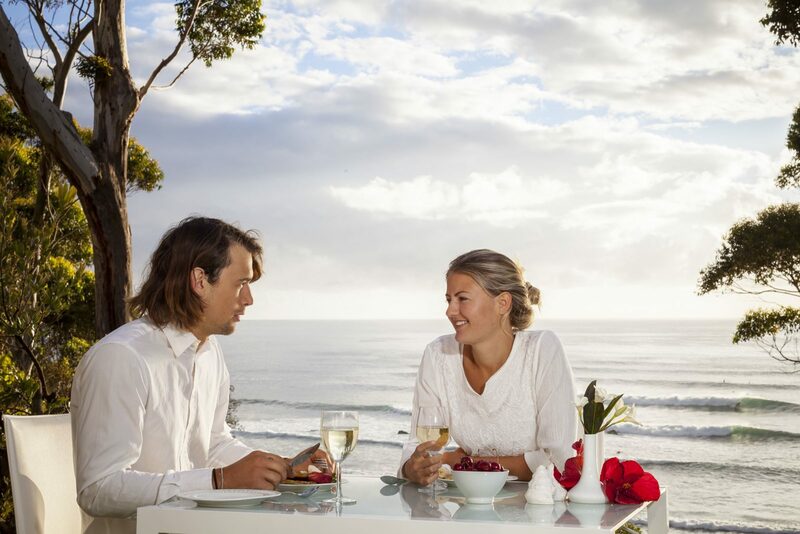 If the surf is calm, enjoy snorkelling around the reef or try your hand at rock and beach fishing. 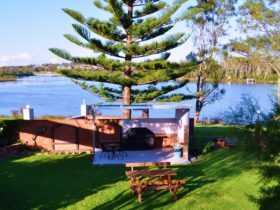 Enjoy swimming at Mollymook Surf Beach, or at the famous Mollymook Bogey Hole which is right out in front of the Mollymook Beach Waterfront accommodation. Fully self contained self catering apartment with free wi-fi, flat screen television, king size bed, en suite. 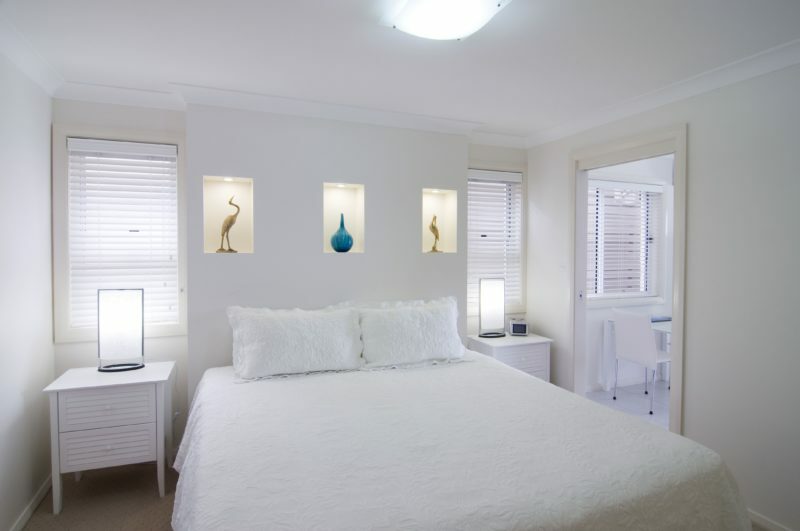 Self-catering apartments with en suite. A complimentary generous breakfast hamper is provided plus complimentary refreshments for guests’ arrival that includes a bottle of wine. 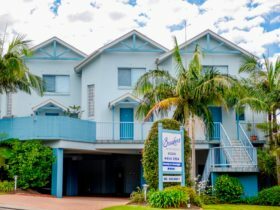 Apartment has a King size bed, flat screen television in both living area and bedroom, all linen is supplied, complimentary DVD library, George Foreman health grill, microwave oven and fridge.